The al-4 Subcompact Line Array System utilizes advanced technologies to extract unparalleled performance from an ultra-compact package. With cutting-edge technologies such as a beryllium compression driver, Kevlar/Neo low-frequency transducers, and precision amplification and DSP, the highly scalable al-4 system brings pristine sound quality and coveted line array performance to more applications than ever before. The al-4 Line Array System is made up of the al-4 Acoustic Element, the rack mount V4 Systems Engine, which provides amplification, DSP and system control and the al-4SB flyable isobaric subwoofer, along with a wide range of accessories for suspension and transportation. The system is sold in standard blocks, with eight al-4 Acoustic Elements and a single V4 Systems Engine (designed to power up to 8 al-4 elements) comprising a single block. Multiple al-4 blocks can be combined to address larger applications. Compact and lightweight – each al-4 element is 5.47 x 19.90 x 10.28 inches (H x W x D) and 19.2 lbs. 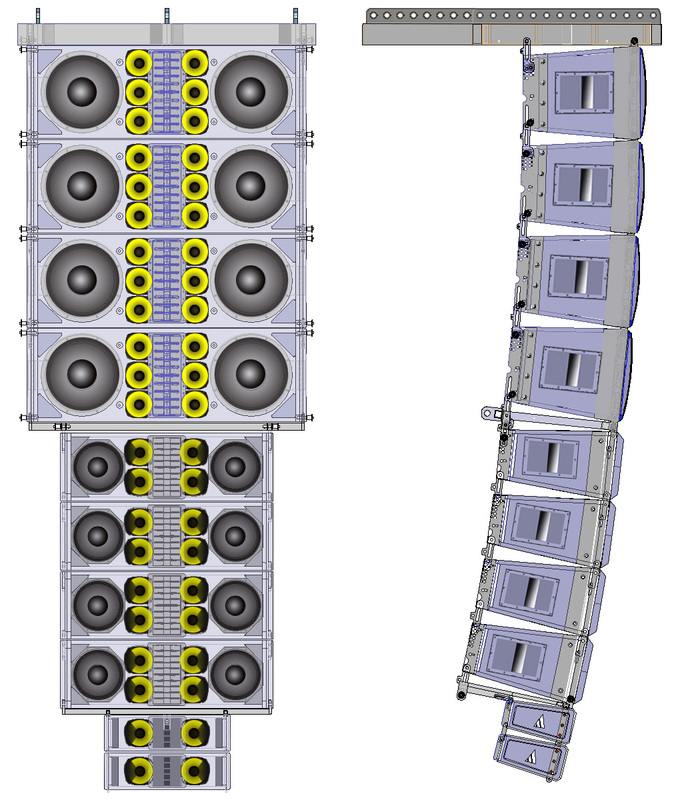 Unlike other compact line array systems that have fixed vertical coverage, the al-4 functions more like full-scale line array systems, with the vertical coverage limited only by the number of elements in the array rather than by the physical limitations of the cabinet design. This flexibility allows al-4 rental inventory to serve a variety of uses. From small “one-man” shows to more demanding productions, scaling up or down is simply a matter of adding more elements to the array. The al-4 by itself produces flat response down to 90 Hz, for applications where extended low-frequency response is required, the al-4 can be arrayed with the al-4SB. It is also fully compliable with the full family of VUE subwoofers so you’re sure to have the output and bandwidth you need for virtually any application requirements. Flexible suspension options allow flying, ground stacking, attachment to a lighting grid and pole mounting on stands or atop VUE subwoofers. CST™ re-defines the concept of system ‘Scalability’. 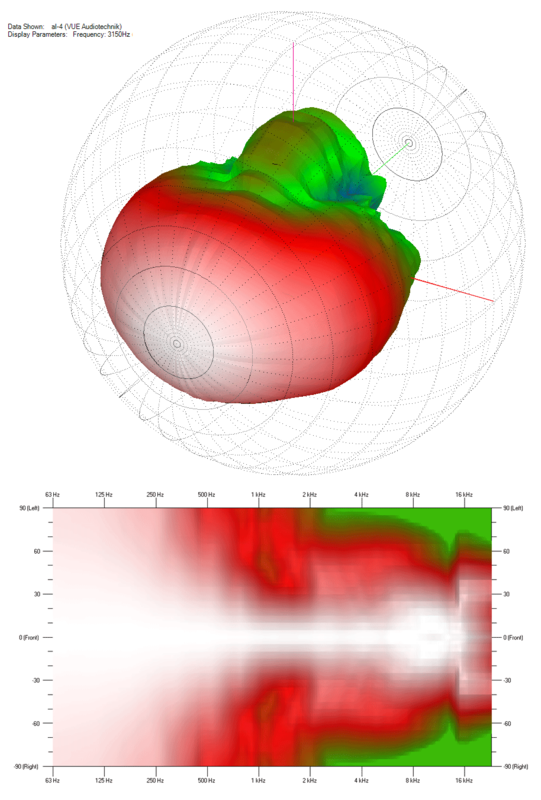 Acoustic Linearity Architecture paired with CST™ allows the use of multiple different al-Class elements together in an array without sacrificing the elemental line-array theory basics, resulting in a coherent and symmetrical line-source from the largest cabinet at the top of the array to the smallest under-hung elements. The family of al-Class products features three line array elements for maximum flexibility in sound design, inventory profitability, unbeatable coherency. 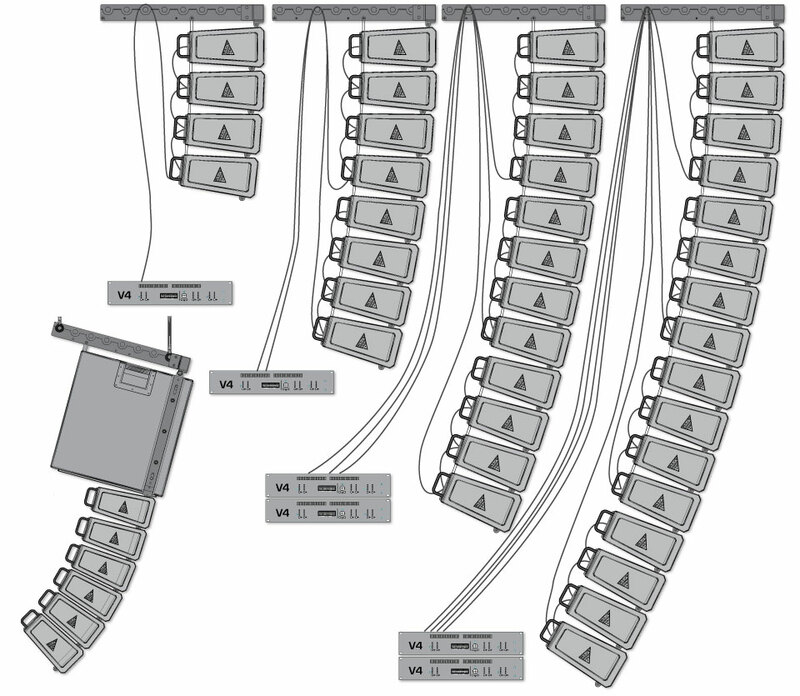 Furthermore, the VUE al-Class Line Arrays support VUEPoint™ Beam Forming to further achieve unsurpassable performance and coverage control in any given room configuration. The VUE al-Class line arrays are the only system that can combine ultra-compact (al-4), medium format (al-8) and large-format (al-12) enclosures into a single coherent array without compromising the mid- and high-frequency coherency. This design feature enables a level of unparalleled system versatility. 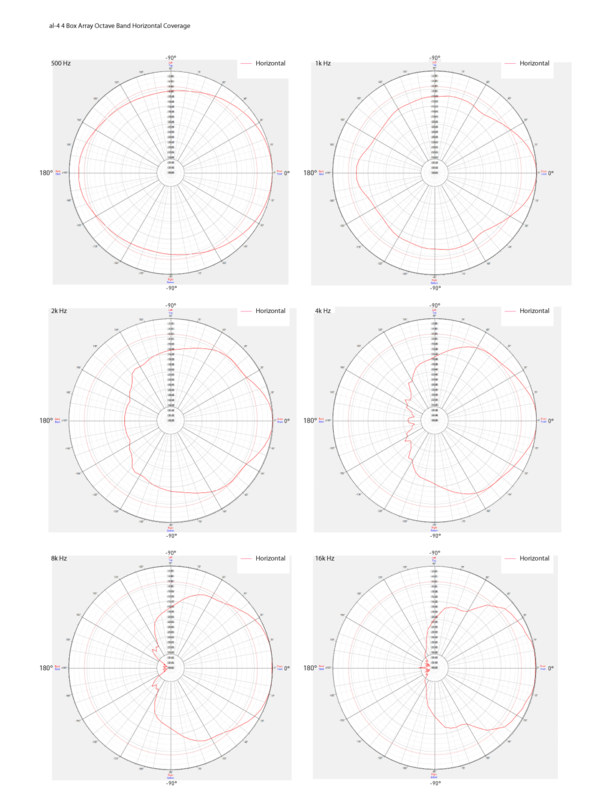 One can create virtually seamless arrays fully optimized for every parameter including coverage, sound pressure level, size, and weight. This also expands the capitalization of a rental inventory for all portable applications. The al-4 Line Array System is made up of the al-4 Acoustic Element and the rack mount V4 Systems Engine, which provides amplification, DSP and system control for up to 8 elements. The system is sold in standard blocks, with eight al-4 Acoustic Elements and a single V4 Systems Engine comprising a single block. Multiple al-4 blocks can be combined to address larger applications. Unlike other compact line array systems that have a fixed vertical coverage, the al-4 functions more like full-scale line array systems, with the vertical coverage limited only by the number of elements in the array rather than by the physical limitations of the cabinet design. This flexibility allows al-4 rental inventory to serve a variety of uses. From small “one-man” shows to more demanding productions, scaling up or down is simply a matter of adding more elements to the array. 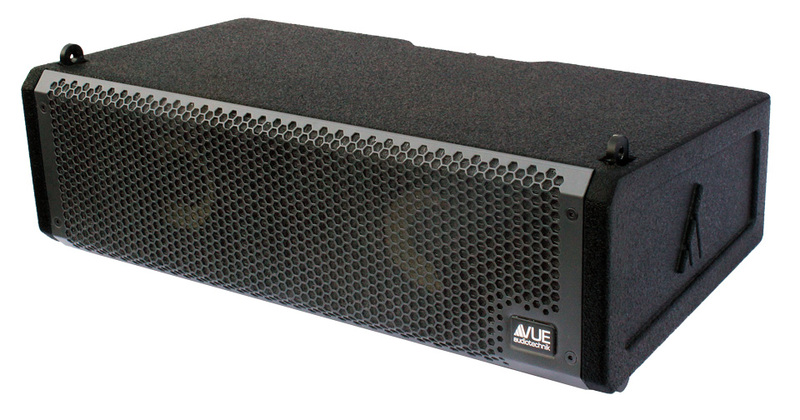 For applications where extended low-frequency is required, the al-4 is fully compatibility with a variety of VUE subwoofers. 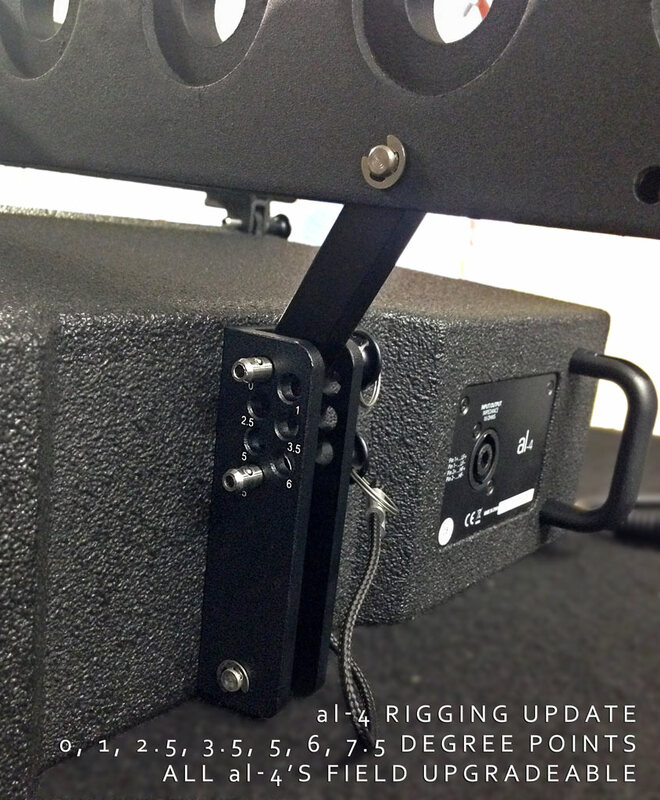 Flexible suspension options allow flying, ground stacking, and pole mounting on stands or atop VUE subwoofers. The ultra-compact al-4 element utilizes an M-T-M (LF-HF-LF) configuration for symmetrical horizontal consistency with two 4-inch Kevlar cone neodymium woofers flanking a precision-engineered, 1-inch exit neodymium compression driver featuring a Truextent® beryllium diaphragm. 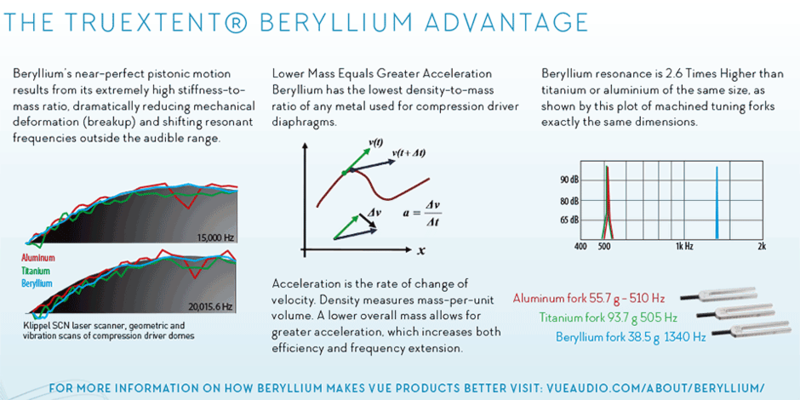 Beryllium technology allows the compression driver to deliver dramatic improvements in HF extension and response linearity that simply cannot be matched by traditional aluminum or titanium designs. The beryllium compression driver is mounted to a precision waveguide delivering 90° of horizontal coverage and 10° of vertical coverage when measured as a single unit. All three transducers are housed in a rugged birch plywood enclosure protected by a 12-step Dura-Coat LX finish. Integrated flying hardware allows quick assembly of arrays of up to 16 elements per fly-bar. Rear panel I/O includes NL4 Input and Loop connections for easy daisy-chaining of line array elements. 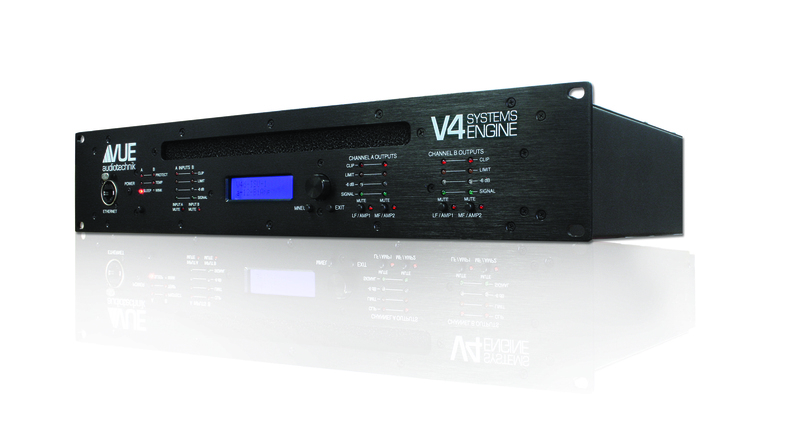 The compact V4 Systems Engine is a 2-in/4-out configuration providing four discrete channels of amplification with more than enough “oomph” to bi-amp as many as eight al-4 elements. Inside each V4 chassis are four dedicated amplifiers supplying two channels at 1600W each for the low-frequency, and two channels at 550W each for the high frequency. And that’s clean, pure sine wave power rather than the “peak burst” measurement our competition prefers to use. In addition to amplification, the V4 Systems Engine also handles all system processing and management functions, including speaker protection as well as system-optimized alignment of EQ, time and crossover functions. Rear panel signal connections include dual XLR and AES/EBU inputs, with a pair of NL4 connectors for loudspeaker outputs.